We’ve all heard the narrative of a woman standing in front of her closet exclaiming “I have nothing to wear!” while looking at hangers full of clothing. At a time when the president has sparked hate crimes against Latinx people (among other groups of color), the question so many people of color have to ask themselves is, “What do I wear to feel safe?” When violence against people of color is so widespread, it can seem safer to blend into the crowd rather than stand out by wearing a hijab or a “Brown ‘N Proud” shirt. Even clothing choice can lead to violence in such a fraught time. Take for instance the Zoot Suit Riots, in which pachucos and pachucas wearing the iconic style were specifically targeted. For many of them, the style was a way to show their pride and the attacks were a direct result of hatred toward Mexican Americans. When 15-year-old Mariah Havard wore a “Black Lives Matter” shirt to school, the vice principal claimed it was “disruptive to the school’s educational environment.” Havard also said that she was “verbally attacked MANY times” while wearing it. Clothing can also be used to invoke violence. At a New Jersey political rally, a man wore a “Make America Great Again” shirt and pepper sprayed a protester who was demonstrating against hate speech. 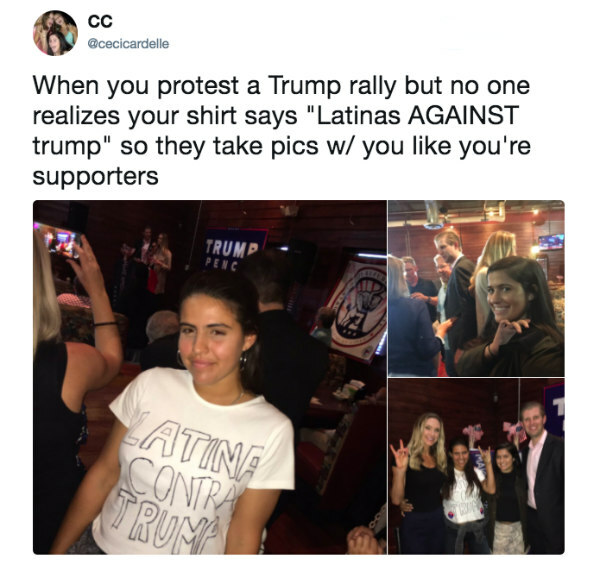 In 2016, a group of Latino students were initially prohibited from wearing “Dump Trump” t-shirts, though the school eventually allowed them wear the shirts after some deliberation. In a recent Vogue article, contributor Maya Singer predicted that New York Fashion Week designers would incorporate slogan tees on the runway, but she cautioned: “I sympathize with the impulse, but to all the designers out there reading this, I have a suggestion: Don’t do it. Don’t do it unless you’ve taken a good, hard look at your business and can say to yourself, in all honesty, that you practice what you preach.” Citing designer Katharine Hamnett’s work, she also argued that specificity is key to creating slogan tees in order for there to be a clear through line to action. But sometimes the action is simply taking up space. For people of color who are often stereotyped and disenfranchised, feeling empowered and visible is often an important first step. Arias also noticed that some of her shirts have recently taken on a new meaning. The elote shirt, for example, started as a nostalgic expression. After seeing so many concha items—not that she doesn’t like conchas, because “who doesn’t love pan dulce?”—she decided to create an homage to the elote. She remembers trying to find enough money for an elote and racing after the cart. 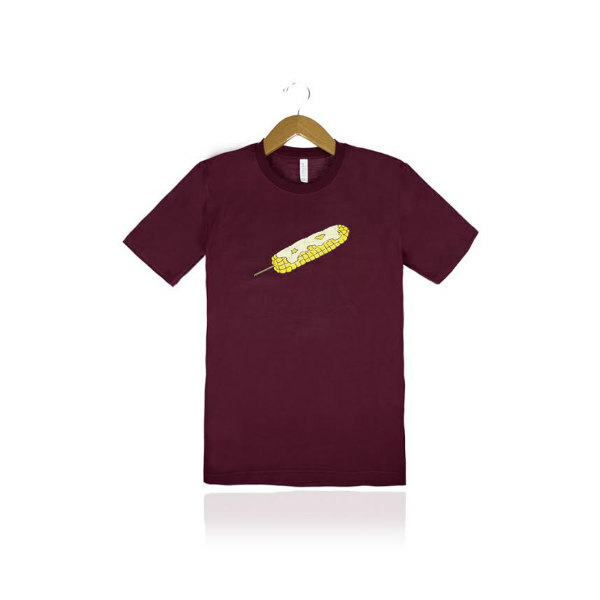 But the elote shirt—which features a yellow elote on a stick with butter and chili on top of it—became even more symbolic after a recent incident in Los Angeles where a man violently knocked over a street vendor’s cart. 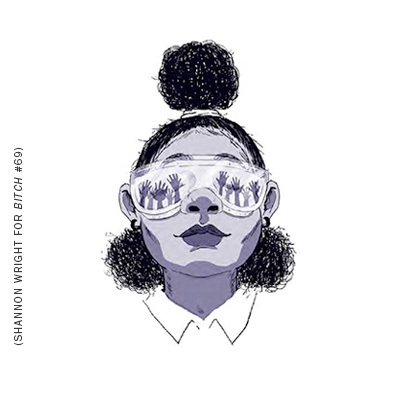 For many people of color, creating a small business allows them to build something outside of the mainstream capitalist space that gives them full creative control. 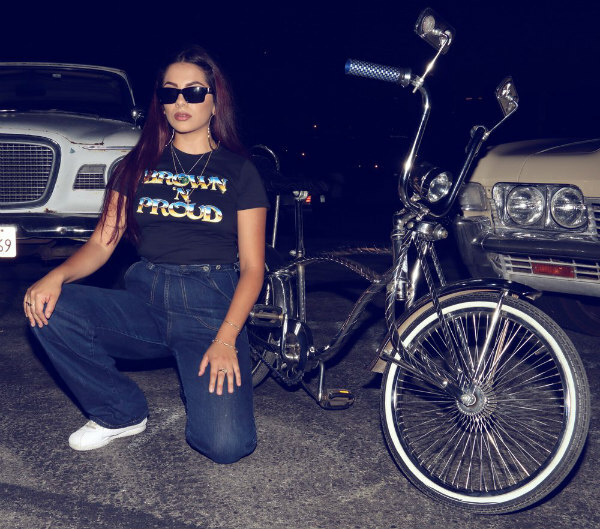 For Latinx shoppers, putting your money toward small businesses can be a form of solace, but also a way to support other POC makers so that a variety of narratives can be highlighted. As an educator, Sabrina Alicea often couldn’t find books that represented children of color, so she started The Educated Latina blog and shop as a way to amplify those stories. 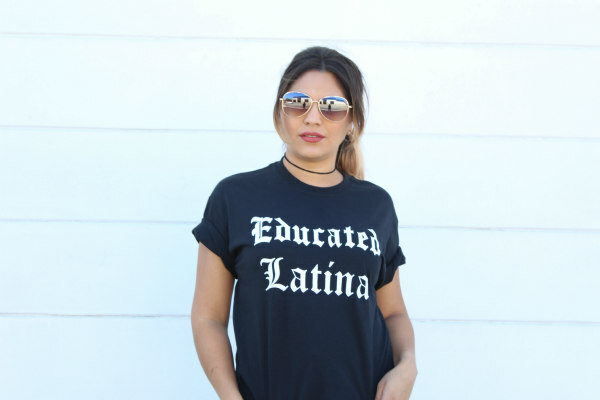 Her t-shirts, emblazoned with the words “Educated Latina,” serve as a way for Latina women to be proud of their own accomplishments, whether they attended a highly regarded institution or not. The slogan also challenges prevalent stereotypes about Latina women. Adrian Mandujano, owner of The Movement Brand, felt disconnected from his own culture when he was younger. 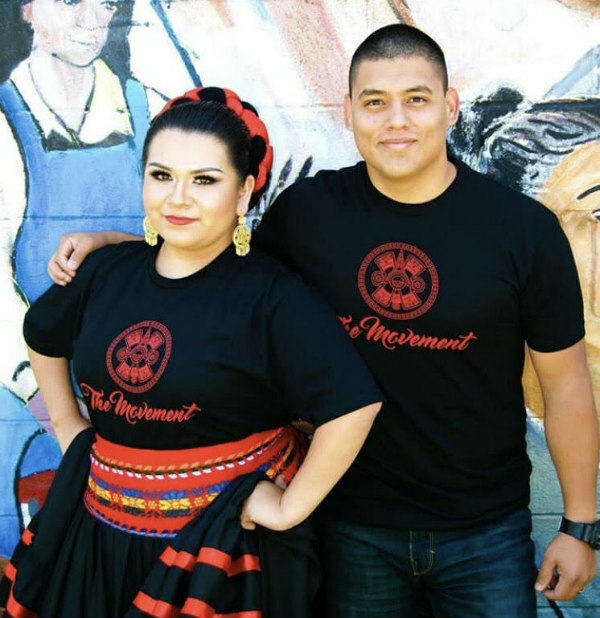 Through learning about ballet folklorico and danza Azteca, he started to focus on “preserving the culture” and decided to start his own clothing brand. “I figured this was the best outlet to preserve the culture and influence for others who are like me, who aren’t too familiar with where they came from or even the traditions,” says Mandujano. The shirts become even more impactful when you take into consideration not only who wears them but when they wear them. Mandujano says that many women wear the adelita shirt to graduation. Alicea says that one customer purchased a shirt to wear to a DACA rally. We live in a time where you can wear a shirt with the word feminism on it and pose for the perfect Instagram photo without actually taking any action to help further women’s rights. You can spend more than $30 or even $100 on a shirt, but that won’t guarantee that are being intersectional when arguing that women should be equal to men. Eva Recinos is a freelance writer based in Los Angeles. She is less than five feet tall. Follow her on Twitter @eva_recinos. 15 women who have dedicated their lives to unwavering advocacy.